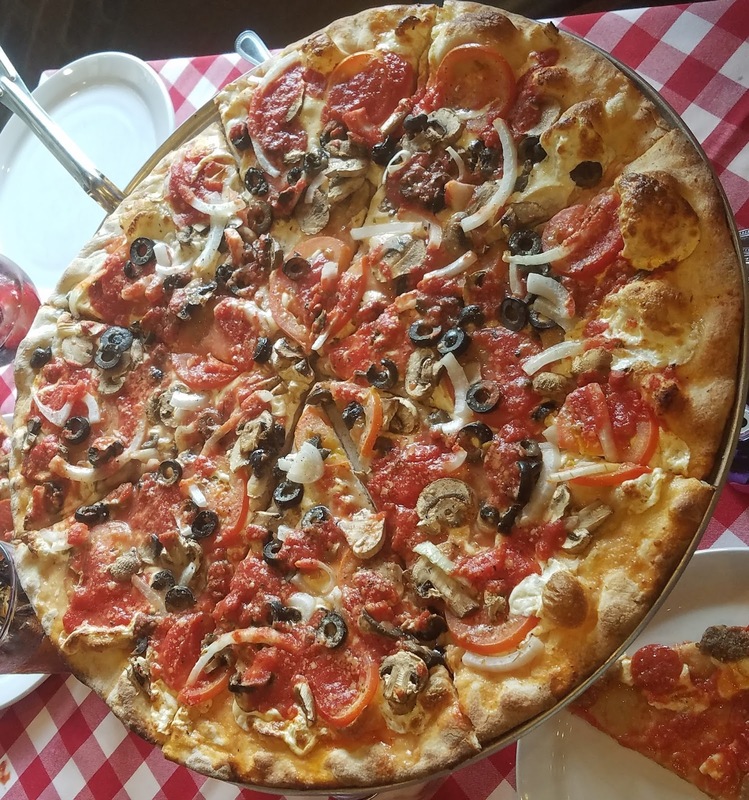 When you think about pizza what do you think about? I think about New York. 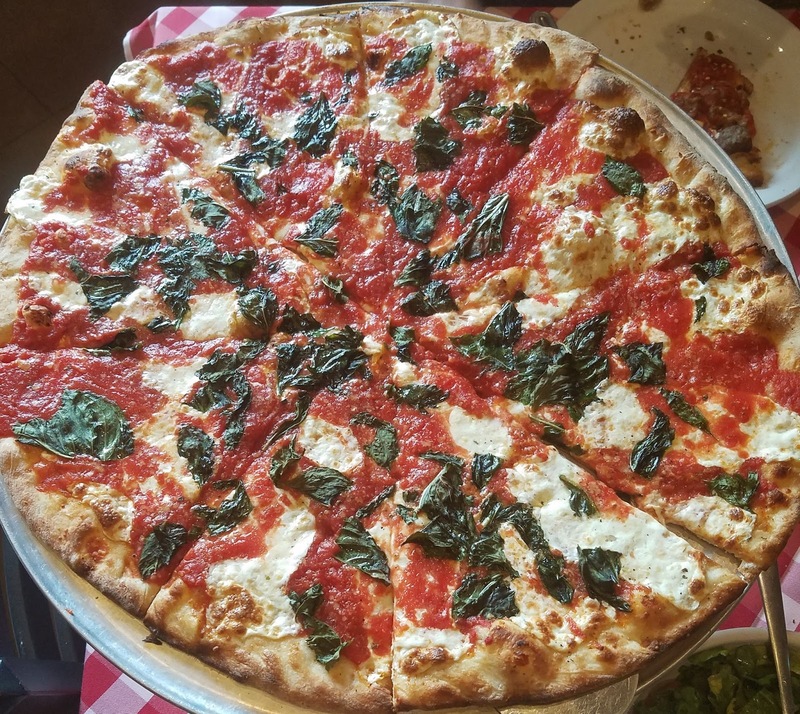 I have heard people say if you have not tried NY pizza then you have not had the best. Pizza is a favorite in our family. 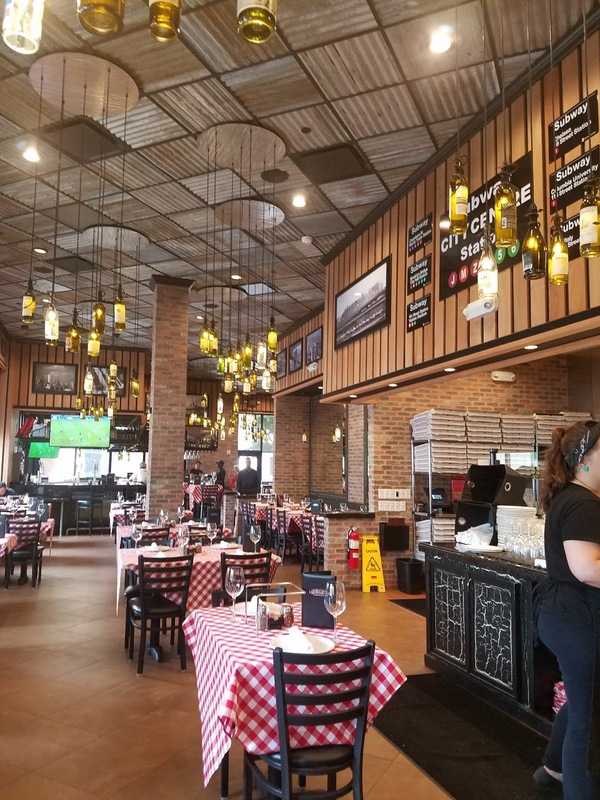 Thanks to Grimaldi's Coal Brick-Oven Pizzeria in City Centre for hosting the Go Houston bloggers for lunch. All opinions stated are my own based on my personal experience. When you walk in, the wonderful smell is the first thing you notice. You then notice, the place. This pizzeria is so New York with their signage and pictures. The space is open. 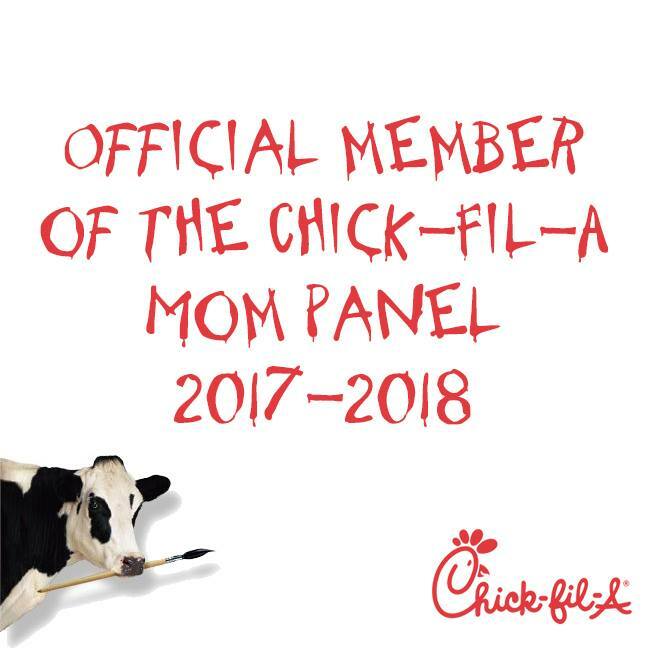 There is a lot of table seating available. And the food well.....where do I start? 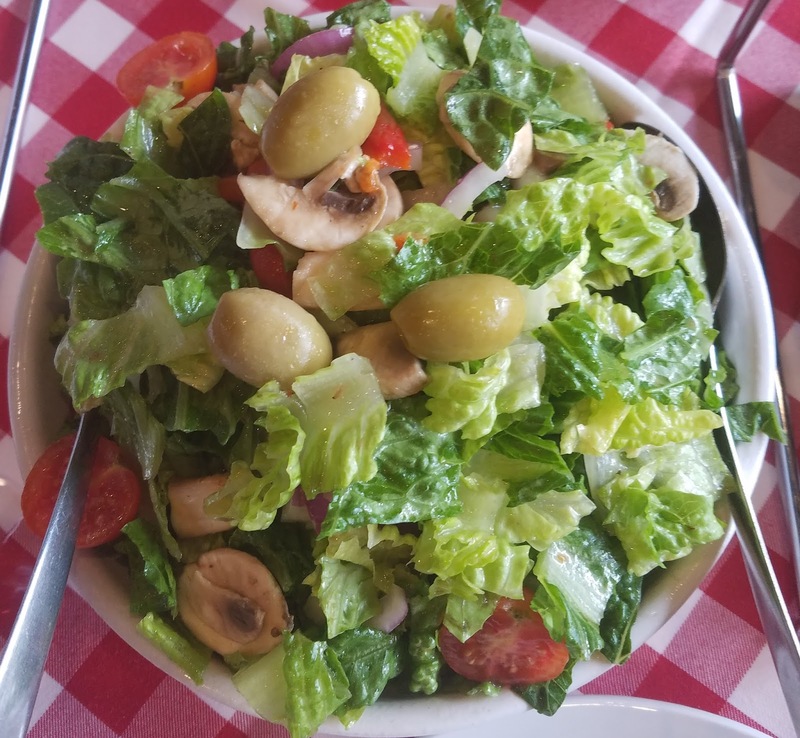 We started our family style lunch by trying out their salads. 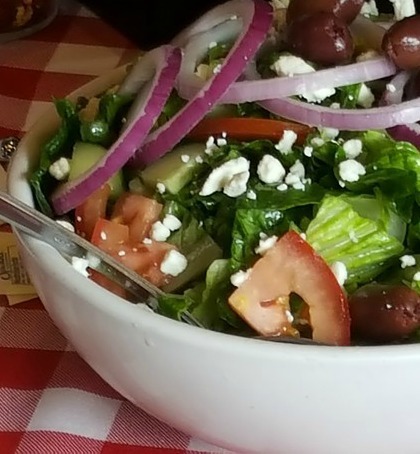 They have a variety of salads for all taste buds. 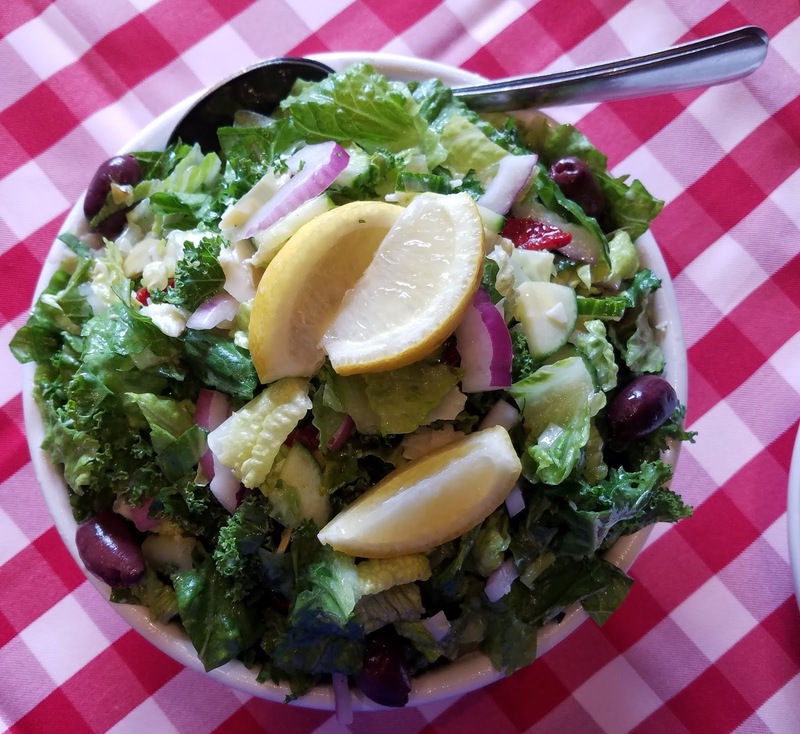 Kale Chopped Salad-I am into anything Kale right now. 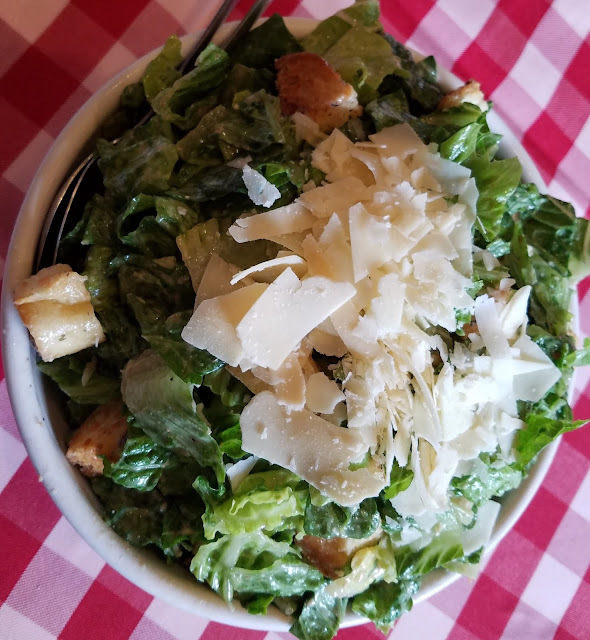 Caesar Salad-This is my husband's go to salad where ever we go. This was the first salad to be gone. 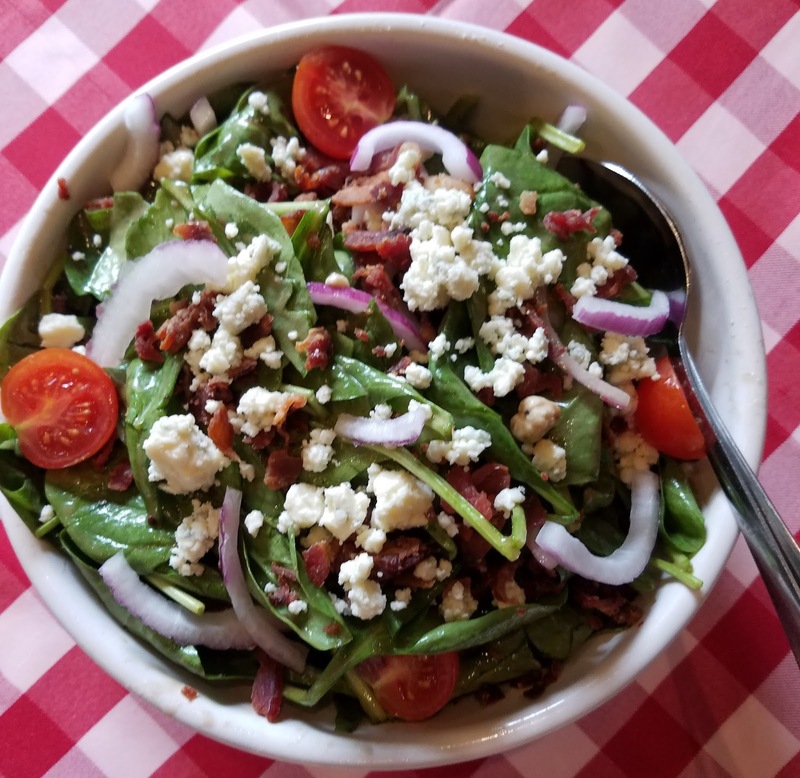 Spinach salad-This had bacon and lots of it. Not a boring spinach at all. Grimaldi's House Salad-This house salad had huge olives, oven roasted sweet peppers, and mushrooms. These were just the starters. Then came the pizza. 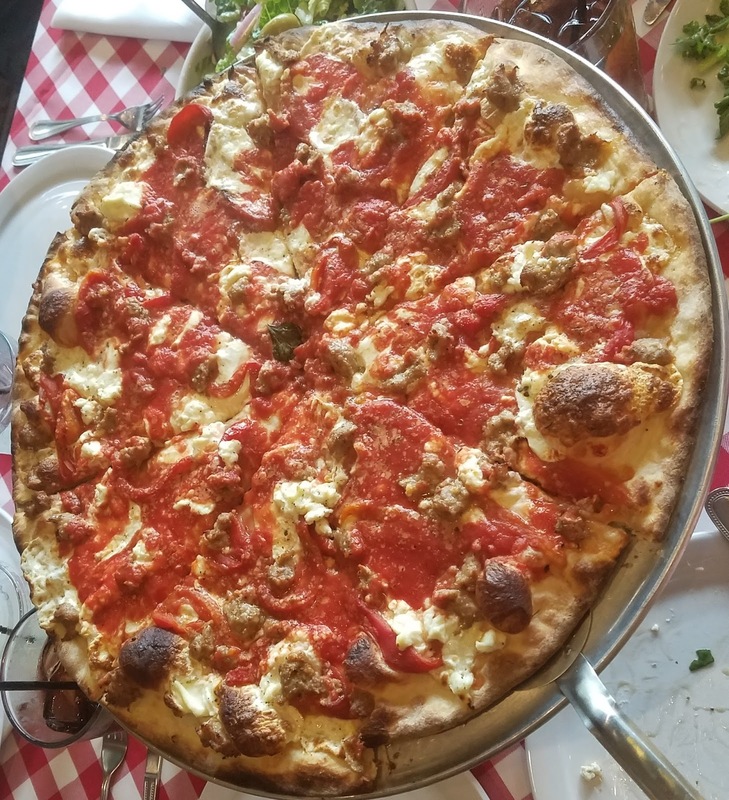 Brooklyn Bridge-Oven Roasted Peppers, Ricotta Cheese, and Italian Sausage....this was oozing cheese and sauce in every bite. 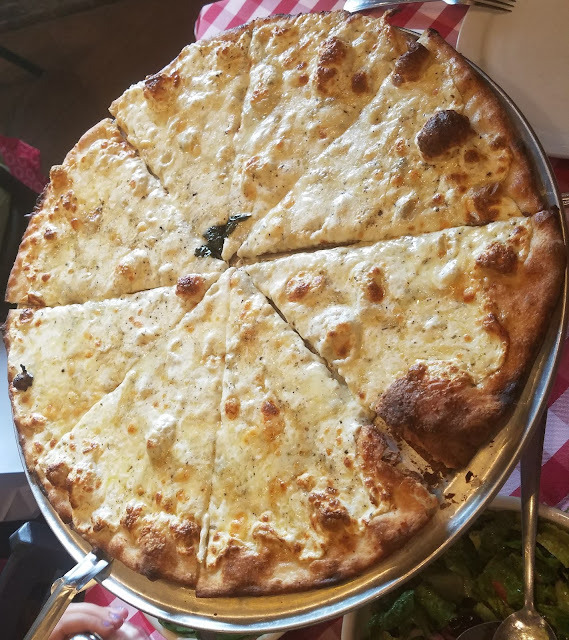 Quattro Formaggi-Mozzarella, Asiago, Parmesian, Romano, and Gorgonzola cheese...cheese with cheese on top sprinkled with cheese. It is perfect for cheese lovers. 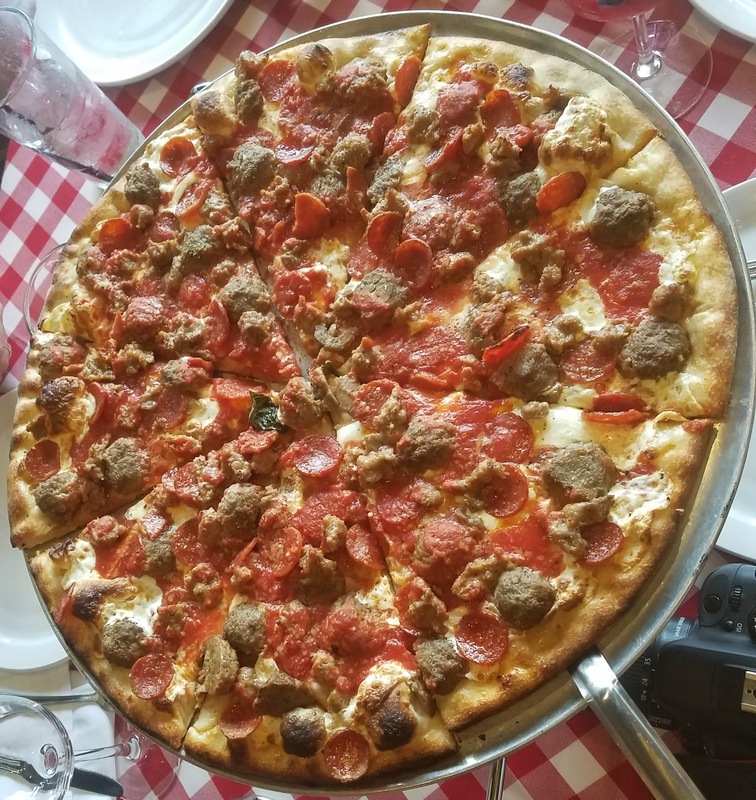 What I liked about the pizza the most is that it was thin and crispy. They had enough ingredients all over. I hate going places and all you get is a lot of dough. I didn't order bread. I wanted pizza. It was good so good that we were licking our fingers after every bite. Picture was taken in action. 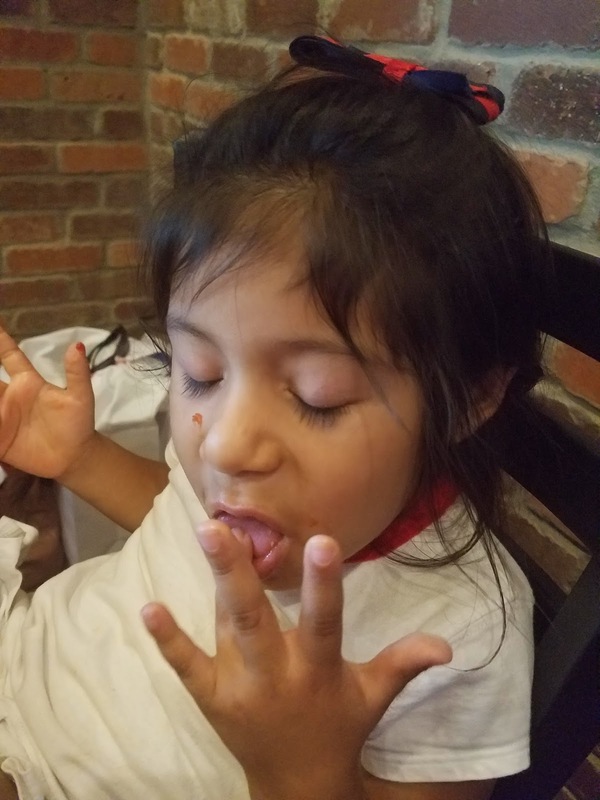 She will hate me for this picture when she grows up but I caught her in the moment. We had a great time. The staff was very attentive and knew the menu well. My husband's favorite was The Don. My daughter's was the Quattro. I could not pick a favorite. Each pizza was so different. 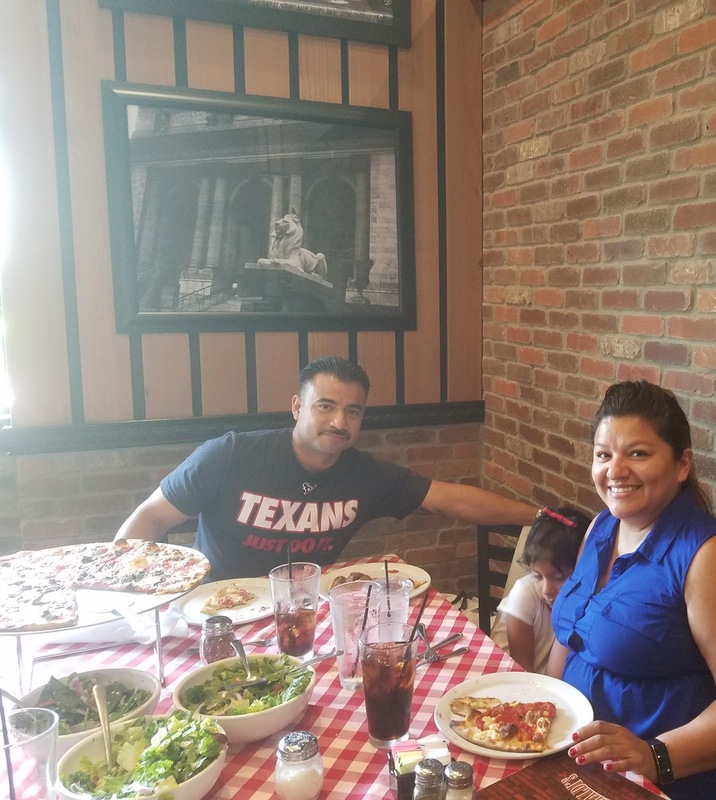 One thing we all agreed on was that it was awesome pizza. Their fresh ingredients, handmade mozzarella, 'secret recipe' dough and pizza sauce has made them the most award-winning pizzeria in the United States. 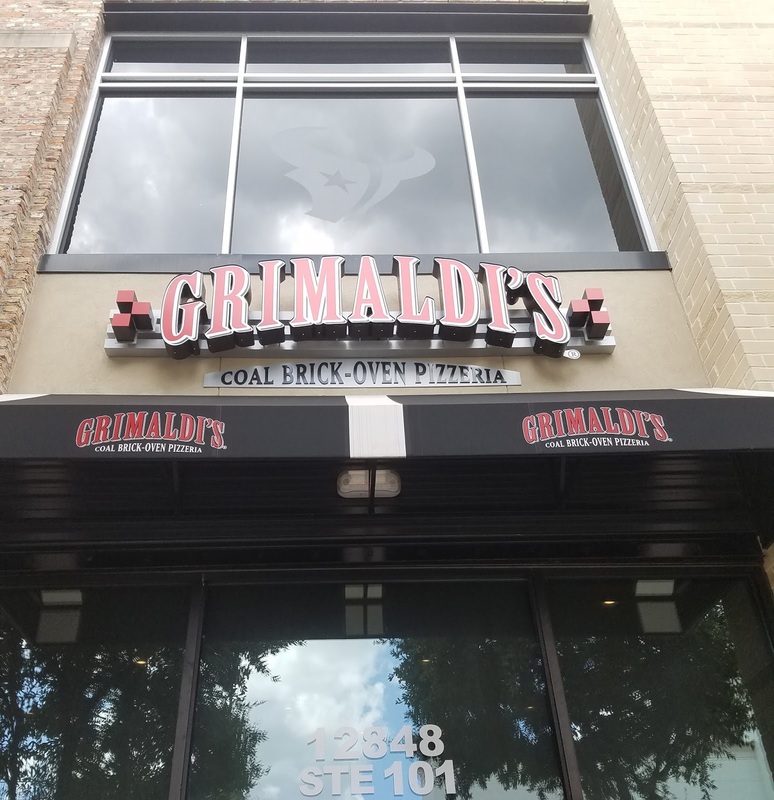 To find a location near you, go to grimaldispizzeria.com.